Innika Choo designs vacation pieces that are unique and timeless, so you can pack them for years to come. 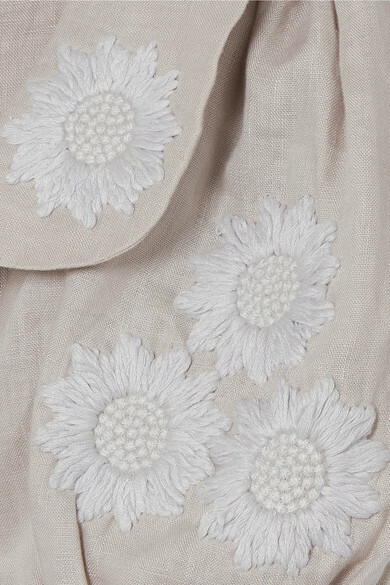 This 'Anya' top is made from naturally cool and airy linen embroidered with pretty white sunflowers. 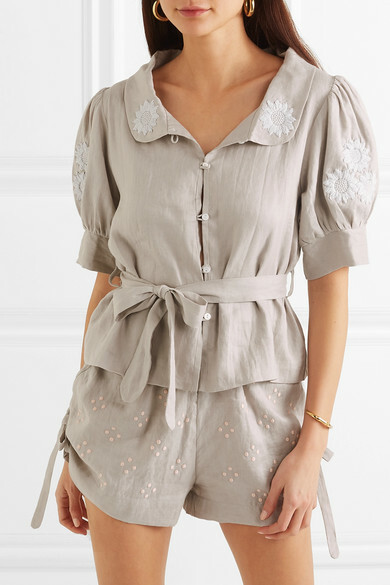 It has puffed sleeves and a tie-fastening belt to cinch your waist and create a soft peplum hem. Wear it with the coordinating shorts and woven accessories. Shown here with: Innika Choo Shorts, Ulla Johnson Tote, ATP Atelier Slides, Sophie Buhai Cuff, Laura Lombardi Earrings.